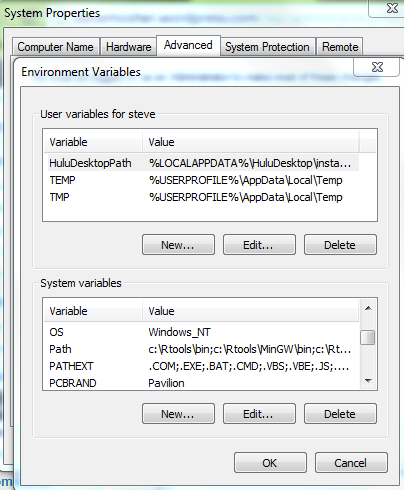 In order to build a package in R there are a couple things you need to understand about your Windows System. These are fairly trivial but if your coming from a different platform (like MAC) then you might not know where these things are. 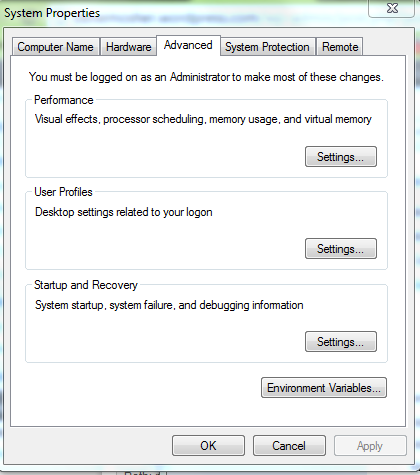 I will take some time to take you to a couple places on your Windows system. 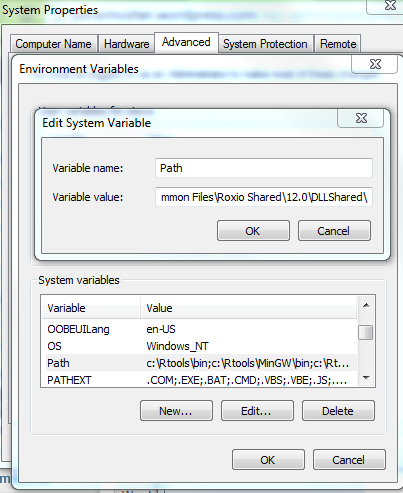 There are three bits that we are going to get familiar with: The location of your R program, the console application, and the PATH variable. So at this level we find the program that we will have to invoke to build a package. That program is Rcmd. The other thing we need to note here is that when we want to access this program we have to provide the system information about the location of this program. That is, we need to record the path to this program. 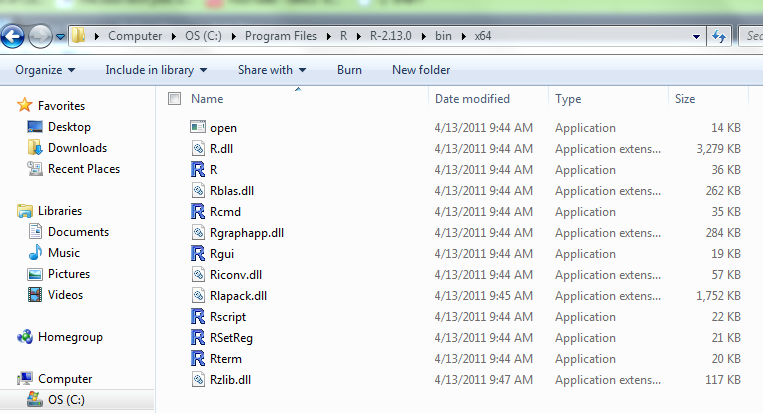 the path to the program is : c:\Program Files\R\R-2.13.0\bin\x64 . Please note that on your system it may be different. 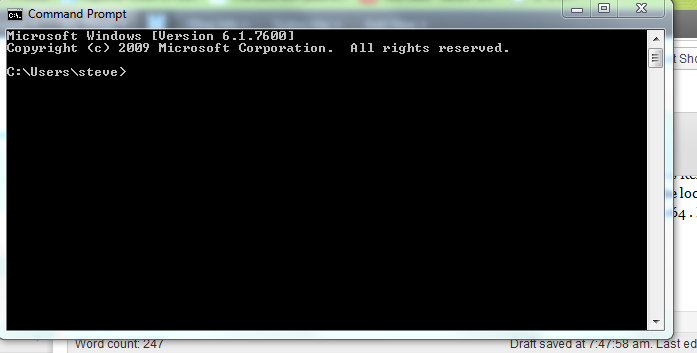 Open the start button select “All Programs” –>”Accessories” –>”Command Prompt”. The old reliable “DOS” Prompt. That is how you will access your path variable when it comes time to edit it.